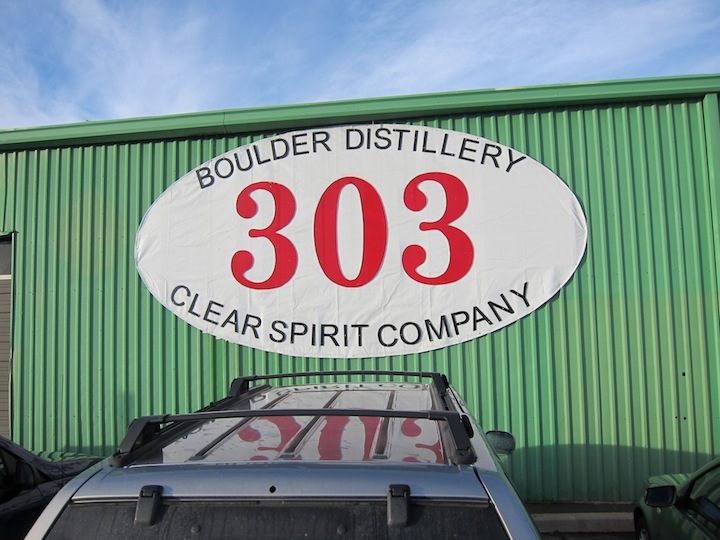 The Boulder Distillery & Clear Spirit Company (makers of 303 Vodka), isn’t like any distillery we’ve ever been in. 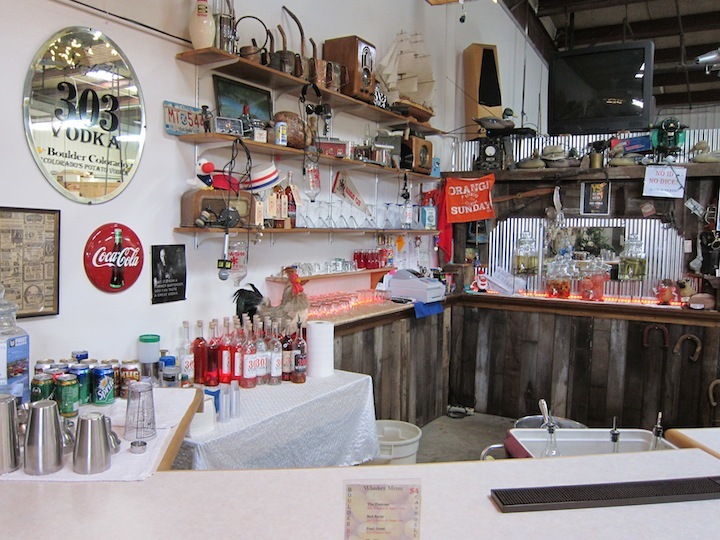 As you walk into the distillery, you’re greeted by a large bar which serves an assortment of cocktails (including a delicious root beer and vodka cocktail) as well as a wide range of house infused vodkas including some off the wall infusions like pickle, grapefruit, red hots, candy cane, and peach. Step beyond the bar and you feel like you are walking into a science lab. This isn’t a complete accident, as master distiller Steve Viezbicke is a physicist by trade, and nearly every piece of machinery in the distillery he created by hand. 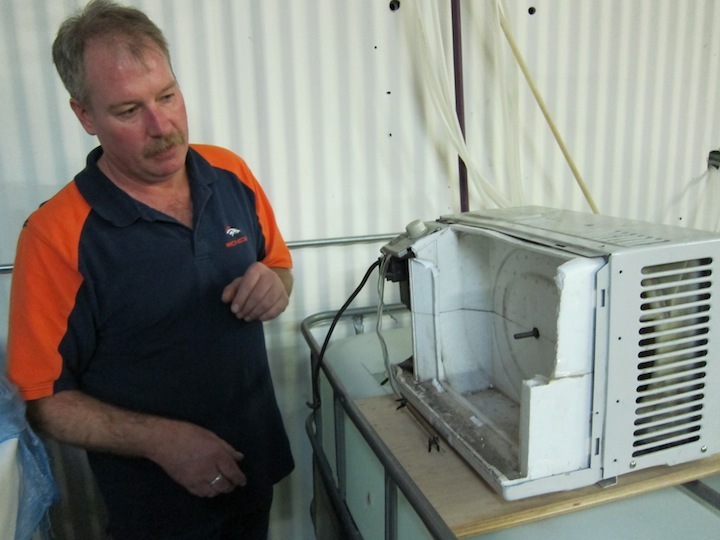 Steve Viezbicke’s story is an all too familiar one: after working for twenty years as an engineer at a speaker company, the company decided to cut back and laid him off. Not interested in going back to the grind and working for another big company, Steve turned to his love of spirits and distilling and began building rough home stills. 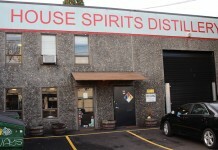 It took a full six years for that to turn into Boulder Distillery & Clear Spirit Company, which now produces one of the best potato vodkas we’ve tried. The centerpiece of Boulder Distillery & Clear Spirit Company are three handmade stills, affectionately named Ruth, Bertha and Ethel. “I call them my girls because they are a little fussy and you have to finesse them to get them to do what I need ,” explains Steve. These three stills were all built from the ground up from salvaged pieces and parts. 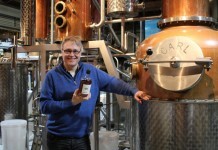 Steve Viezbicke designed a unique valve reflux system which cycles a portion of the distilled spirit back into the still to be re-redistilled. 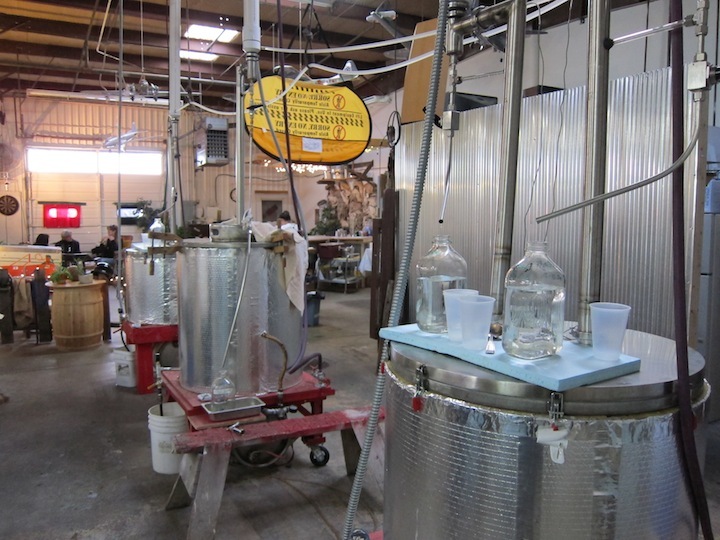 “With this process we get effectively sixty to eighty distillations per batch,” comments Steve. 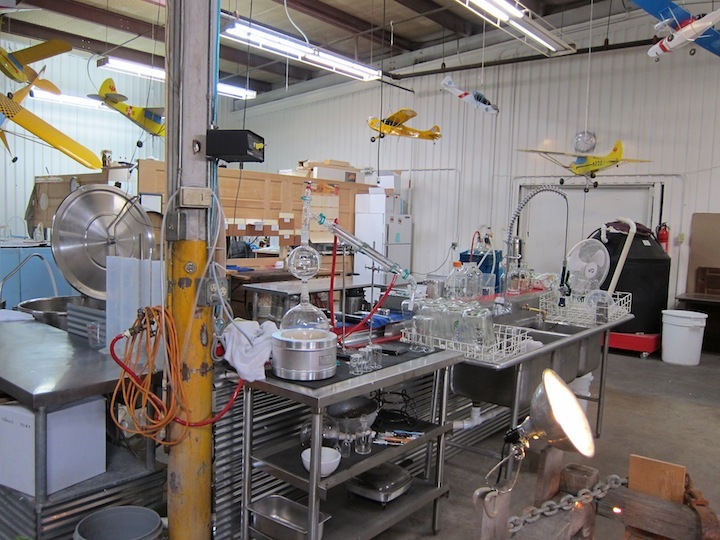 Boulder Distillery & Clear Spirit Company is the quintessential DIY distillery. Each step of the process is done by hand and done using something built, modified or repurposed by Steve (everything from the beer keg steamers used with the stills to the glass milk jugs used to collect the vodka after it’s been distilled). One of the best examples of this is that Steve Viezbicke modified a window air conditioner and a water tank to create a cooling and condensing system for his stills. “Everything changes daily. 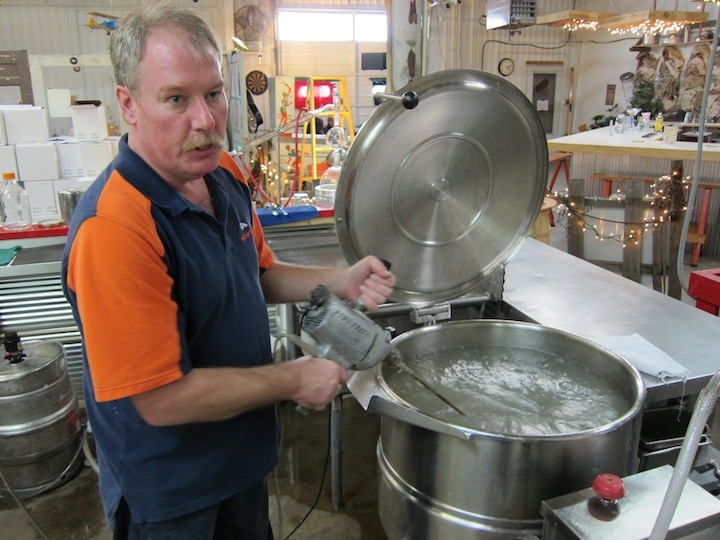 Just embrace it,” comments Steve as he uses a power tool to mix the potato mash which is the base of the 303 Vodka. 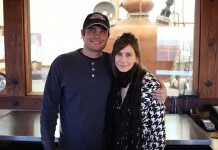 Steve and Terri aren’t setting out to be the biggest craft distiller in America; instead, they focus on doing one thing really well – an extremely well-distilled clean spirit that is gluten free. I asked Steve what his long term goals with 303 Vodka are and his answer just about summed it up: “Honestly, I’d just love to be able to play golf just one day a week. I’m even willing to go out there and hack at it in the snow. That and make great spirits”.